Based in Nashville, Bronson Herrmuth has worked in music publishing and production for more than 30 years. He is president of Al Jolson Black & White Music, Jolie House of Music, and Iowa HomeGrown Music. Signed as a recording Artist with RCA Mexico from 1981-1985 with Iowa band, The Ozone Ramblers. He is a songwriter, band leader, a multi-instrumentalist, and he has toured 44 states and 18 countries as a performer. He's traveled the USA speaking at Music Conferences as a Panelist, a Mentor and Workshop Instructor. An associate writer for MusicDish.com, 5 Star Productions, Country Music News International, a contributing author to the Indie Bible, a columnist for MusesMuse.com and the Nashville Music Guide. 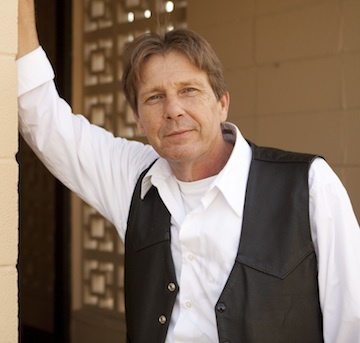 Bronson is the author of the book "100 Miles To A Record Deal", Host of radio programs for Creative and Dreams Music Network, a founding member of acoustic duo Crowding 50, and a member of the Nashville Association of Talent Directors (NATD). Billy Ray Cyrus, Suzy Bogguss, Ray Stevens, John Schneider, Ronnie McDowell, Jonell Mosser, David Frizzell, Michael Mason Bromley, Shaun Murphy, Wayne Moss, Johnny Bush, John Cowan, Marty Haggard, Johnny Lee, Joe Nolan, Leona Williams, Patrick Hazell, Rosco, The Why Not Band, Mike Holloway, Moore & Moore, Music Mafia Misfits, The Ozone Ramblers, Allen Frizzell, The Osborne Brothers, Big Al & The Heavyweights, Justin Tubb, Milan & Bibiloni, Len Doolin, Poker Flatts, The Mickeys, Billy Ray Reynolds, Southern Pride, Nikki Lunden, JW Adams, Sally Weisenburg & Don Berbaum, Lori Lee & Live Bait, Average Whites Creek Band, Chaz & the Channel Cats, Tom Arnold, Cindy Lu, Johnny Napp, Mike & Amy Finders, Tabby Crabb, Jason D. Williams, Kraig Kenning, Glenn Tubb, Jimmy Payne, Hoze Fleming, Richie Owens, Donna Frost, Mandolin Jack, United Cigar Box Band, Rich Mahan, Charlsey Etheridge, Chad Elliott, Russ Roberts, Chelsea Savage, Jeremy Dean, Boo Ray, Two Ton Jack, Cory Johnson, Will Krueger, EverAfter, Joe Rucker, Jimmy Jack Whitaker, Eric Burgett, Mark Elliott, Rachel Lipsky, Jim McBride, Bobby G. Rice, Beth Ogden and Crowding 50. Willie Nelson, The Charlie Daniels Band, The Kentucky Headhunters, Asleep At The Wheel, Moe Bandy, Edwin McCain, Johnny Paycheck, The Ozark Mountain Daredevils, Black Oak Arkansas, David Allen Coe, Richochet, The Imperials, The Lost Gonzo Band, The Country Gazzette, Jim Ed Brown, The Jones Boys, Ronnie McDowell, Mel McDaniels, Becky Hobbs, Little Jimmy Dickens, Johnny Rodriguez, Wade Hayes, Amazing Rhythm Aces, Restless Heart, John Anderson, Joe Diffie, Walter Egan, Jason D. Williams, Pam Tillis, and the Spinners. Rosco, Suzy Bogguss, Patrick Hazell, Michael Mason Bromley, Colin McCaffrey, Monty Holmes, Lisa Kolarich, Joe Nolan, Nina, Rob Barry, Netha, Southern Pride, Francesca Angiuoli, J.W. Adams, Judge Parker, Kenny Fuller, Kristin Lee Bell, Wizard, Marianne Osiel, Chelle, Southern Pride, Chris Bynum,The Ozone Ramblers, Why Not Band, Cindy Lu, Johnny Napp, Private Coach, Bob Bullock, Katrina Motter, David Alan Loy, The Barrel Jumpers, Peter F. Nostrand and Crowding 50.